Bellantoni is a Professor of Professional Practice at the USC Annenberg School of Communication and Journalism. She is the director of the Annenberg student newsroom known as the Media Center. Over her 20 years in journalism, Bellantoni worked as a reporter and editor, behind the camera as a producer and in front of it as an analyst on national television. She has covered local, state and federal government, along with four presidential campaigns and the White House.Bellantoni was assistant managing editor at the Los Angeles times, editor-in-chief of the Capitol Hill newspaper Roll Call, political editor at the PBS NewsHour and senior reporter for the Talking Points Memo, among other positions held during her long career in journalism. 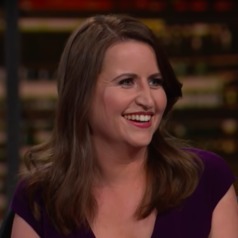 She frequently appears on television and radio, including NPR, CNN, MSNBC, Fox News and HBO’s “Real Time With Bill Maher,” and you can see some highlights from her reel here: bitly.com/cbellantoni.